This grassy path through the bracken to Rannerdale Knotts would be difficult to miss, even in bad conditions. 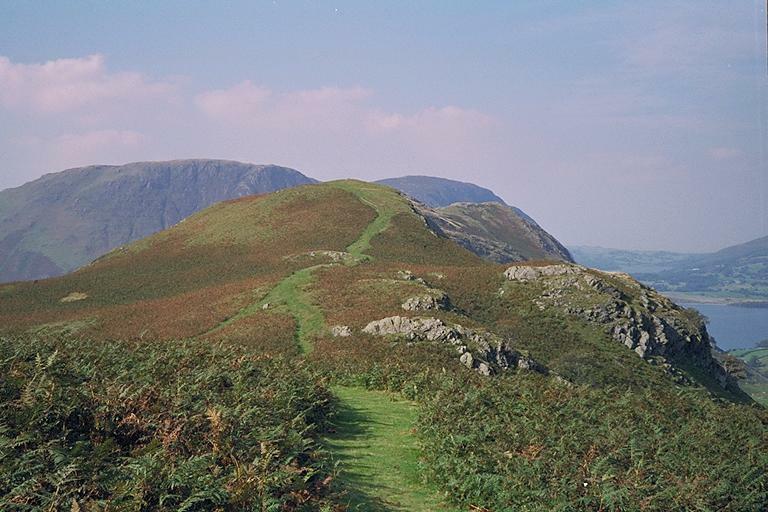 The twin tops of Mellbreak are seen beyond. Smaller version of this picture.